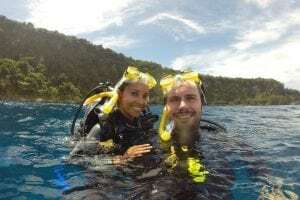 Wanders Miles World Adventurers Series welcomes Kia and Peter who run Atlas & Boots, an outdoor travel blog covering thrilling activities in far-flung places be it swimming with whales in Tonga or trekking volcanoes in Vanuatu. Between them, they have travelled to over 70 countries, recently completing a year-long trip across the South Pacific and South America. Prior to Atlas & Boots, Kia worked at Penguin Random House, leading the development of roughguides.com, while Peter taught digital media at a London school. Their skills in editorial and photography led them to create Atlas & Boots, now read by over 150,000 people every month. Kia and Peter are Lonely Planet Pathfinders and have appeared on TV, radio, in print and online talking about their travels abroad. Here, they tell Wanders Miles about their extraordinary adventures. We love the outdoors, so our perfect adventure would involve hiking across a dramatic natural landscape like Cappadocia or Patagonia. We also love the water, so a boat trip out to sea for a spot of diving would also serve quite nicely. Our number one adventure was trekking an active volcano in Vanuatu. Mount Yasur was utterly mesmerising. We don’t think we’ve ever seen anything so dramatic. At times, there were great sprays of lava shooting into the air, which was both thrilling and terrifying. Second on the list is Perito Moreno in Argentina. The glacier is so alien, so otherworldly, it’s impossible not to be struck. You can hear it moving and cracking which adds an extra dimension to the experience. Third on the list is Easter Island. This is one of the most remote inhabited islands in the world and it felt like nowhere else. The mystical moai were just one part of the experience. The sprawling hills and great swathes of uninhabited land were like being on a movie set. If we can have just one more, we’d say diving in the Galápagos where we saw sharks, rays, turtles, sea lions and great schools of fish. It was just magical. Oh, gosh, we’ve had so many awkward travel moments. We’ll let Peter share an experience in Tanzania. It was a blisteringly hot day in Arusha and I was on a public bus on the way to Moshi. It didn’t take long for the bus to fill up and a heavyset woman with her baby soon took the seat next to me. Soon, the bus was packed and stuffy, and the baby began to cry. The child was clearly hungry and so the mother naturally provided. I like to consider myself a man of the world, but I’ll admit that I was surprised: her ample bosom was not only out for all to see but unabashedly resting on my right arm! Packed in like sardines, I could barely move and being British and the only white man on the bus I didn’t have the balls to say “excuse me”, and so I left my arm where it was. No-one else batted an eyelid as I sat there glowing bright red while this woman’s bare breast rested on my arm. For an hour. 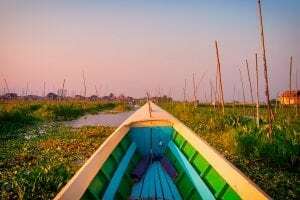 What 3 things have your travels taught you? The first is that travelling is easier than you think – at least for those in the western world. If you want to travel, you can. People think up all sorts of reasons why they can’t and our message has always been that it’s easier than you think. We’ve even written a book to help them take leap: Don’t Offer Papaya: 101 Tips for Your First Time Around the World. The second thing we’ve learnt is that we need less than we think. We’ve lived for a year carrying not much more than 20kg between us. At the risk of sounding like born-again backpackers, that really does feel like freedom. Finally, we’ve learnt that we don’t cities. Kia is a born-and-bred Londoner and never thought she’d tire of the city, but after travelling the world, we’ve learnt that we appreciate space, time and the outdoors more than the relentless ‘vibe’ of city life. 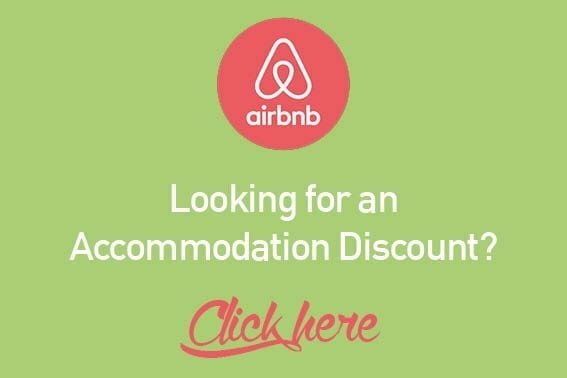 We most frequently use Booking.com, XE, Google Maps and MapMyHike. We spend a lot of time in the outdoors so our travel essentials include a solar charger, water purifier, insect repellent and sunscreen. Our Kindles are good for long journeys and, sadly, our laptops for working on the road. 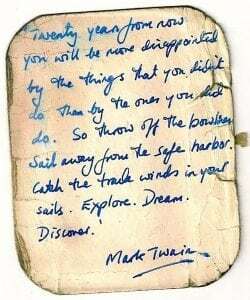 When Peter first went travelling at 21 years old, his father gave him this travel quote scribbled on a piece of card. Over 10 years and 60 countries later, it’s still in his wallet. Probably the Mark Twain quote above! Oh, so many! Kia most wants to see Derweze in Turkmenistan, Baffin Island in Canada, the Gobi Desert in Mongolia, Erta Ale in Ethiopia and Victoria Falls in Zimbabwe and Zambia. Peter most wants to see the Skeleton Coast and Namib Desert in Namibia, the Himalayas in Nepal, the beaches of Kiribati, the stark landscapes of Greenland and the mountains of New Zealand. Our friends joke that there isn’t anywhere left for us to see, but there’s so much more travelling for us to do! What is the next planned adventure for Atlas and Boots? We’ve had a great year so far. 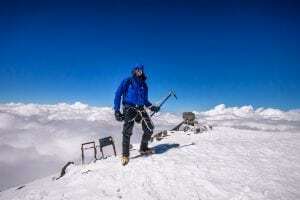 We’ve spent a month apiece in Sri Lanka and Mauritius, cycled across Myanmar, been horse riding in Montenegro and Peter has climbed Mount Elbrus in Russia, the highest mountain in Europe and one of the seven summits. Our next big adventure is Australia in the new year. We’ve put it off for a long time as we wanted a good few months to see it properly, but now it’s time! We’re in planning stages now and hope to see some of our readers out there on the road! Follow Kia and Peter’s adventures at atlasandboots.com and on Instagram, Twitter and Facebook. The volcano would do it for me, although I’m also extremely impressed by Mount Elbrus – one of the seven summits, but not wildly accessible, that one. Cool! 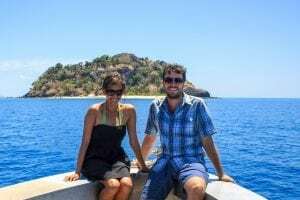 An interesting interview with an adventurous couple ! 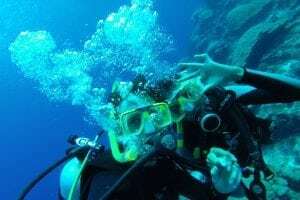 Diving in the Galapagos and hiking a volcano are two things I really want to do myself. Loved reading about their experiences. Love the guys from Atlas & Boots! What a great life of adventure. I too want to swim with whales in Tonga, trek volcanoes in Vanuatu, go to Easter Island, and the Galapagos. So envious of these guys but Darcee & I are catching up slowly but surely. Keep inspiring everyone! IIt’s good to emeet these guys at Atlas and boots! I am quite inspired by them and their way of travelling. Kudos to you guys. 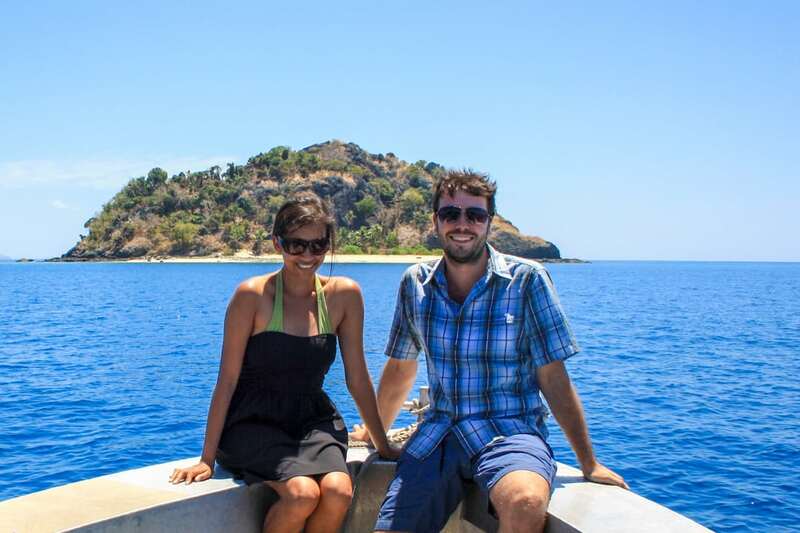 Wonderful interview giving insights into the travel style and philosophy of a well-travelled couple. What caught my attention was the last line…no matter how much how travel (or specially the more you travel), there’s so much more travelling left to do! I also love the water and I totally agree with your learnings! It’s easy to travel you just have to want it bad, and we also need less than we think and it’s best to explore the outdoors! I’d absolutely love to hike Mount Yasuo and to stand beneath the stone statues on Easter Island. Total travel goals! Also, couldn’t travel without my solar charger – such a game changer! I love following along with these guys, and it’s interesting to see what they both did before Atlas & Boots. I’m right there with them on hiking Patagonia, one of the most beautiful places I’ve ever been! So great to be introduced to another adventurous traveling couple. I always enjoy these interviews for exposure to new bloggers (we used to have a similar feature at our blog). I love the story of the Mark Twain quote on a card, that quote is definitely an evergreen. Travel on!